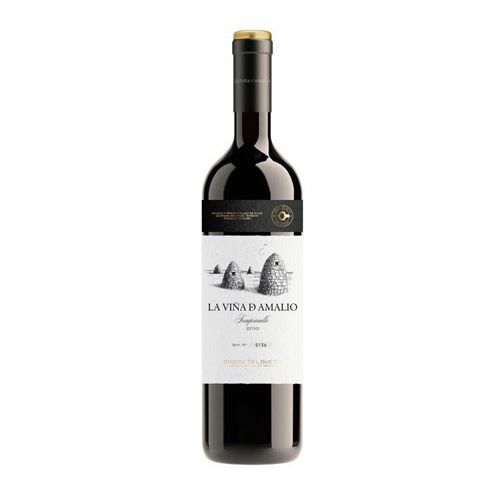 This wine is homage to the wineries founder, Amalio who started everything back in the 70´s. It reflects the essence of what is a wine from one plot (Pago). It is the expression of a vineyard with particular characteristics. Its grandness is due to its imperfections. Each harvest has the same spirit yet is always slightly different. It is deep garnet in colour with an enormous frutal expression which hits your nosy instantly with wild red and black fruit aromas, cherry in flower and sweet spices such as nutmeg, mineral, wet earth and lightly toasted tones. It is intense, long, seducing and complex with a grand finesse. On the palate, its dense thick and fleshy with an excellent refreshing acidity. Long lingering and persistent, with tannins that will smooth in time. A grand wine, still too young but with its best moments still to come.